BROMSGROVE & REDDITCH Athletic Club’s U13 boys secured victory in the team event at Saturday’s Midland Cross Country Championships in Nottingham. The event is the next stage on from the County Championships and is the chance for athletes to gauge themselves against the region’s best. 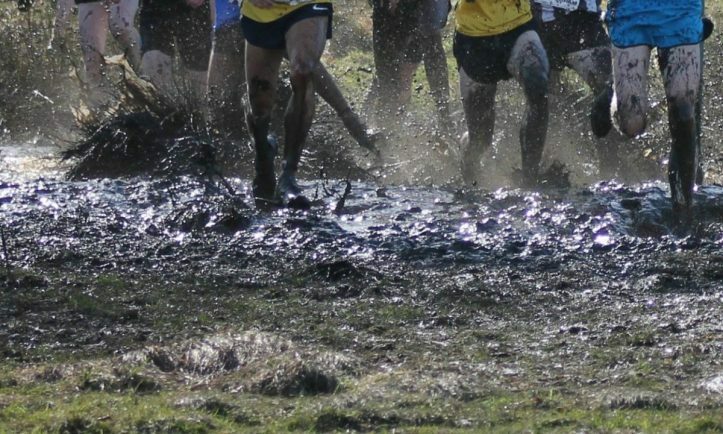 The picturesque Wollaton Park course provided the usual mixture of steep undulations and wet marshy bogs together with a tricky large log-jump thrown in for good measure, although this meant times were generally somewhat slower than the County Championships. The juniors began proceedings and again were the ones to secure medals for B&R. In the 3km U13 boys’ event, Finnan Robins was ninth, Pijus Tvardauskas 13th, Sebastian Purvis 18th and Leo Merritt 20th to secure top team spot in the age category. Third place in the team competition was achieved by B&R’s U17 women’s squad thanks to the efforts over 5km of Beth Sykes (fourth), Amy Mijovic-Couldwell (eighth), Ellen Bowen (24th), Anna Nicod (28th) and Alice Battey (40th). The U15 boys’ squad were in action over 4km and finished eighth through Joe Cunliffe (27th), Harrison Mayne (36th), Luke Richardson (53rd) and Adam Knowles (101st). Conor Smith finished fifth in the 8km U20 men’s competition, Natalie Hatfield was sixth in the U15 girls’ event over 4km and Joseph Hamilton 44th in the 6km U17 men’s contest. In the 8km senior women’s race, won by Katie Holt of City of Stoke, B&R were led home by Sally Hogan in 30th and then came team-mates Tamara Freeman (48th), Jane Anderson (200th) and Charlotte Ball (201st). The longest race of the day was the 12km senior men’s competition in which Alex Brecker of City of Stoke secured victory. B&R’s Mark Appleton did well to finish 103rd with one shoe and Andrew Freeman was 142nd, Stephen Brooks 175th, Anthony Howell 258th and Phil Anderson 478th.